Services offered : 24 hours room service, same day laundry service, doctor-on-call, safe deposit, currency exchange, card acceptance, tennis court, conferencing/banqueting. 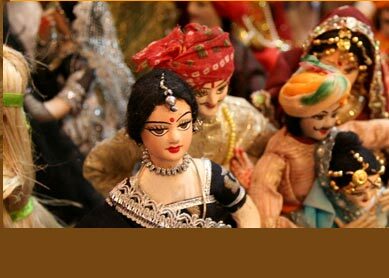 Cuisine: Continental, North Indian, South Indian, Continental and traditional Gujarati. 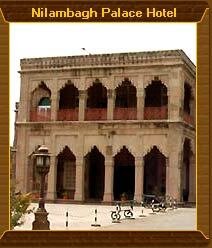 Nearby attractions: Darbargadh, Takhtatsinghji Hospital (built in 1879-83), Taktesi-Iwar Temple. The coastal town and earlier princely state of Bhavnagar (now a part of Gujrat) is of greater importance. Nilambagh Palace Hotel, counted among few of the most magnificent hotels of the country, signifies the rich cultural and historical gleam of the state in true sense. 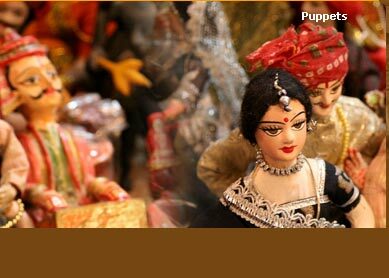 Besides, the splendid hospitality lets tourists to enjoy the royal experience at utmost. Spreading across 40 acres of charming landscapes, the Nilambagh Palace Hotel combines traditional Gujarati architectural beauty with European architectural excellence. The total 24 double bedded rooms of the hotel are very well appointed with modern facilities. Each of the rooms have attached bath, and are equipped with amenities like Television, refrigerator, music system and direct dial telephone. The dining hall decorated in very classical setting represents the perfect mixture of traditional Gujrati and European structural and decorative system. The multi-cuisine restaurant of the hotel serves food for vegetarian as well as non-vegetarian, and includes cuisine like North Indian, South Indian, Continental and traditional Gujrati. The large range of services, which guests are free to avail while on their stay at the hotel are 24 hours room service, same day laundry service, doctor-on-call, safe deposit, currency exchange, card acceptance, tennis court, conferencing/banqueting, baby sitting, shopping plaza, travel and sightseeing assistance, and etc. As the coastal town of Bhavnagar had been one of the 15 richest states of India in early 20th century, the small city still, maintains its historical pride in many of its forts and palaces. Famous places like Darbargadh, Takhtatsinghji Hospital (built in 1879-83), Taktesi-Iwar Temple, Barton Museum & Gandhi Smriti, Victoria Park and Gaurishanker Lake and Lock Gate Dock are close to the hotel, to which sightseeing tour are arranged by the hotel officials.